Didn't realise those injectors existed, should have just got those in the first place as they are approx the same price as my 72lb ones. I might look at getting some of those instead of using the spacers and adaptors, simplifies the whole situation since they fit like stock RS4 injectors. Just to confirm this is what they look like correct? Yes that is what they look like. A short injector with extension. I replaced the orings on mine for oem ones are a little thicker. 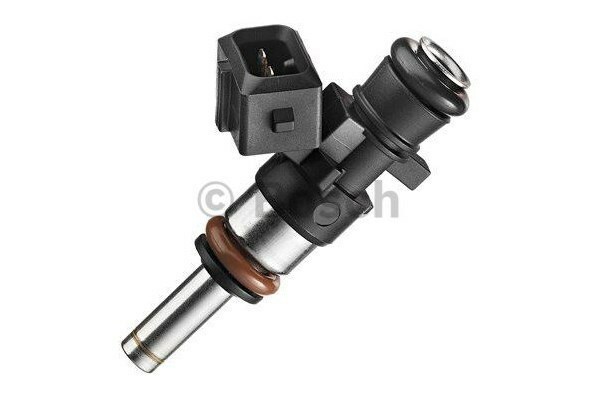 This is the OE RS4 injector, very close if not the same format. The nozzle body looks a little shorter but that may well be an optical illusion. Any suggestions on where to source some legitimate ones for the best price? I have new OEM Orings on mine now so I'll swap them over so that they seal that little bit better. Yes these are very similar in shape and size. Aside from the obvious difference of OEM being Siemens Deka and these being Bosch EV14's with over two times the flow potential at 4Bar. These don't have the Idle issues some of the early High volume injectors had. 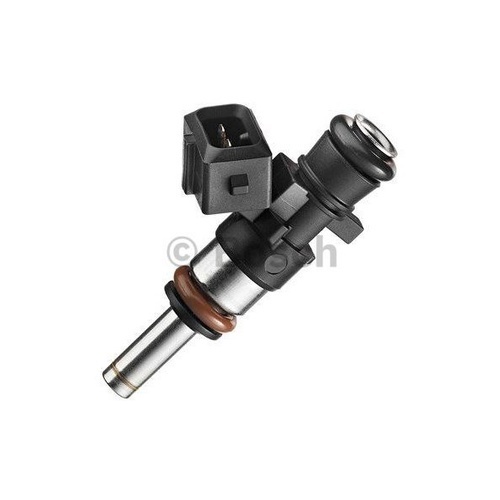 https://www.bosch-motorsport-shop.co...-ev14-injector I have not brought from here but looks like its cheapest straight from the manufacture. Good to hear they don't have any of the issues with idle that I have heard about with some of the other high flow injectors that was definitely something I was worried about. Great find with that website, not sure how I missed it but pricing is great and free shipping is Aus is nice. Yea, not talking flow rate. I got out a few spares as it did look like the nozzle was a bit longer and wanted to check. About the only thing to think over is that if it is longer then the spray pattern could be positioned differently when using the OE fuel rail and RS manifold. The sort of thing the factory (Cosworth / Mahle?) development engineers would have considered when spec'in the intake system. For anyone wondering just to close this thread off with my solution: I picked up the Bosch 0280158040 Injectors direct from Bosch Motorsports (https://www.bosch-motorsport-shop.co...-ev14-injector), they were the cheapest price and even included free delivery which was great. I swapped them into my RS4 fuel rail with new OEM O-rings on the manifold end and ground approx 3mm off each of the four fuel rail mounting points. My tuner made the appropriate adjustments to the tune to suit these injectors and the car now idles perfectly, no more misfires or unmetered air getting into the engine through any gaps.